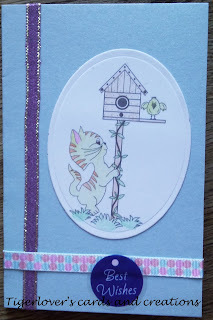 Tigerlover's cards and creations: CRAFT Challenge 68, Colouring Pencils Only. 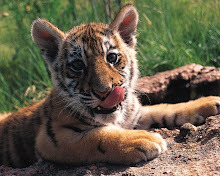 Our challenge at CRAFT Challenge this week is called 'Colouring Pencils Only' and we want you to only use colouring pencils to colour your images this week. Some of the team felt rather deprived from their promarkers and other colouring pens, but they have still created gorgeous projects, so do go and have a look. 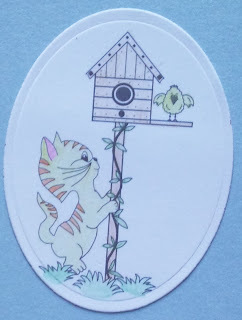 Our sponsor this week is the Crafty Pad Stamp Designs and Debbie has given us 2 lovely stamps to play around with for this challenge. She is also giving 2 stamps of the winner's choice from her shop to the winner of this week's challenge. 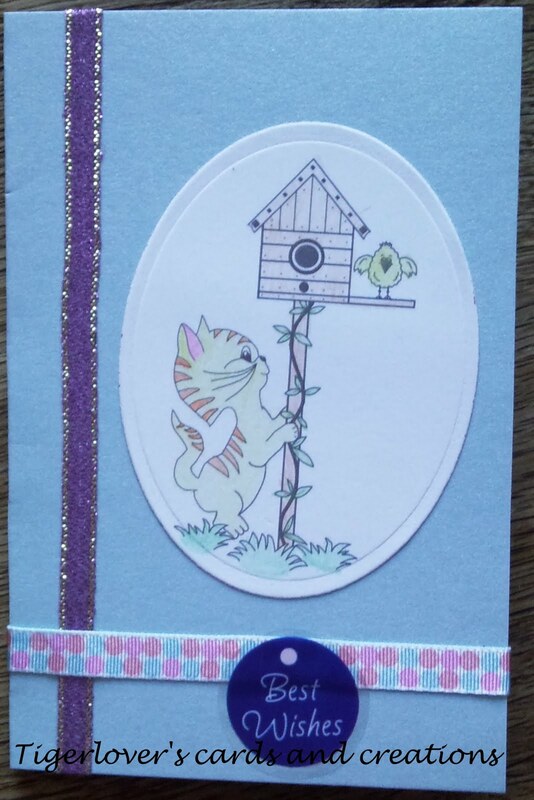 Here is my card for this challenge to provide you with some inspiration, I have used her 'Molly the Cat with Birdhouse' stamp for this card. 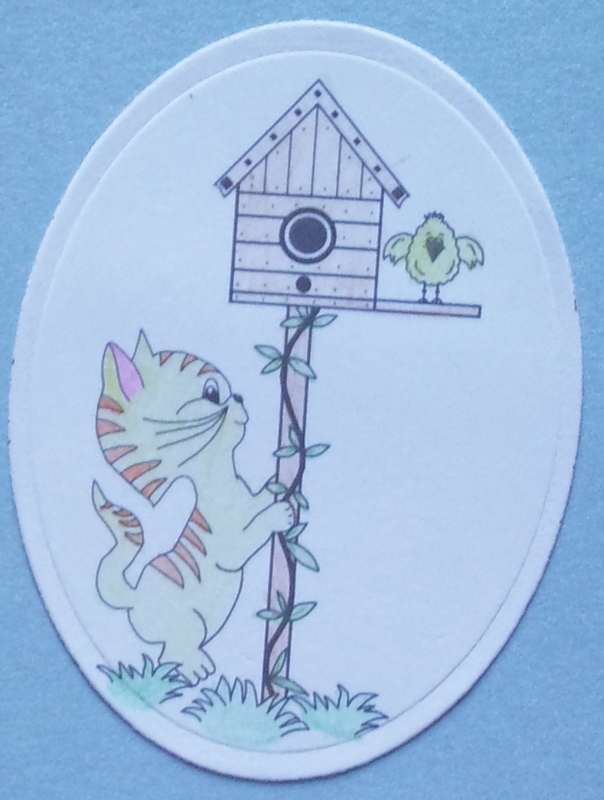 Hope you like the card and will join us at CRAFT Challenge this week.